Philip Baker Hall is a married man. He married twice (Dianne Lewis, Holly Ruth Wolfle). He married Dianne Lewis in 1973, but the marriage didn’t last long and they divorced in 1976. Then, he married Holly Ruth Wolfle in 1988 they have two children namely, Adella Ruth Baker, Anna Ruth Baker. 1 Who is Philip Baker Hall? Who is Philip Baker Hall? Philip is an American actor and comedian. He also played the lead roles of Richard Nixon in Robert Altman’s Secret Honor (1984), Sydney Brown in Paul Thomas Anderson’s Hard Eight (1996) and Arthur Pratt in Duck (2005). 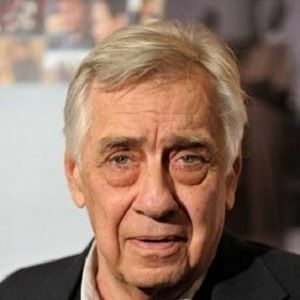 Philip Baker Hall was born in Toledo, Ohio, the United States on September 10, 1931, age (87). He is the son of William Hall (father) and Birdene McDonald (mother). His father served in the military and became a high school English teacher. Whereas, his mother was a factory worker who was from Montgomery, Alabama. There is no information about his siblings. Whereas, he belongs to American nationality and mixed (Engish- German). His birth sign is Virgo. On talking about his education, he attended The University of Toledo. On talking about his profession, he made his film debut in the drama Love-In 72 (1970) – also known as Cowards – as a priest named Father Reis. During 1975, he also began acting on television and joined the Los Angeles Theatre Center. Whereas, his first television appearance came in an episode of the sitcom Good Times in 1976. On the following year, he guest starred in episodes of M*A*S*H and Man from Atlantis. Additionally, he also starred in many films, including Robert Altman’s Secret Honor, a one-man show in which he played Richard Nixon. Then, in his starring in a leading role for Paul Thomas Anderson’s directorial debut film Hard Eight, he also starred in two of Anderson’s films, Boogie Nights and Magnolia. In addition, he also had a minor role as Captain Diel in the Rush Hour trilogy (though his scenes were cut from the theatrical release of Rush Hour 2 and he was also uncredited for his scenes in Rush Hour 3). Additionally, he has had also roles in Midnight Run, Say Anything…, as well as in The Rock, The Truman Show, The Talented Mr. Ripley, Bruce Almighty, You Kill Me, In Good Company, Ghostbusters II, The Insider, Dogville, The Amityville Horror, The Matador, The Sum of All Fears, The Zodiac and Zodiac. Recently, he had also a starring role in the 2006–07 Fox sitcom The Loop and had a guest starring role in The West Wing. Likewise, he also appeared as a guest star in the HBO animated series The Life & Times of Tim. Moreover, he also appeared in the 2010 film All Good Things. During 2012, he also appeared in an episode of Aaron Sorkin’s The Newsroom. Besides that, he also appeared in a series of humorous Holiday Inn commercials. He was nominated for Independent Spirit Award for Best Male Lead for Sydney (1996). Similarly, he was nominated for Satellite Award for Best Actor in a Supporting Role in a Series, Mini-Series or Motion Picture Made for Television for The Loop (2006). Likewise, he was nominated for Guild Awards for Outstanding Performance by a Cast in a Theatrical Motion Picture for Magnolia (1999) and Outstanding Performance by a Cast for Boogie Nights (1997). Additionally, he won ACCA for Best Cast Ensemble for Magnolia (1999). In addition, he won the Alan J. Pakula Award for The Contender (2000). Similarly, he won the FFCC Award for Best Ensemble Cast for Magnolia (1999) and Best Ensemble Cast for Boogie Nights (1997). He won Hollywood Film Award for Ensemble of the Year for Argo (2012). Moreover, he won Best Actor for Dear Chickens (2018). There is no information regarding his income, salary. Whereas, his net worth is estimated to be around $ 750 thousand. On talking about his rumors and controversies, he has not been engaged in any rumors and controversies in her professional career. He is far fro rumors and controversies. On talking about his body measurements, Hugo has a height of 5 feet 6 inches. Additionally, he weighs is unknown. Philip’s hair color is white and his eye color is blue.